Welcome to this stunning home! 2528 sq ft, 4 bed, 2.5 bath, master and all other essentials on main level, including ample office w/ closet. Fantastic open floor plan with living & dining off gorgeous kitchen complete with granite counters, walk in pantry & HUGE fridge/freezer.... the camera didn't lie! Master features large closet, double sinks, granite, separate tub & shower. Bonus room upstairs can be used as lg bedroom as well. Fully fenced back yard facing serene open space & walking path. 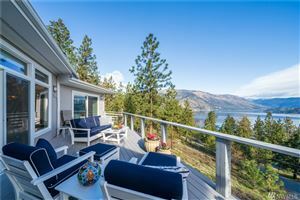 Enjoy South Hill living in this wonderful top of the hill home with stunning views of Bellingham Bay, islands & brilliant sunsets from almost every room. Open living room & dining room, kitchen & half bath on the main floor. Large master upstairs has the best views in the home, 2 additional bedrooms & bath up. Sweet Licensed ADU on the lower level. Covered patio off the kitchen, breezeway from garage. 10,937 s/f lot provides spaces to BBQ, entertain & play. Alley parking for 7 vehicles/boat. Each weekend there are dozens of Open Houses in Bellingham, Ferndale, Lynden, and throughout Whatcom County. Please contact the main office for a full list.